Parents are gearing up for spring travel to Disney. This February we received these questions. Question: What are some fun things to do with a 2-year-old at the Animal Kingdom? Short Answer: I can’t give you a short answer. The Animal Kingdom holds lots of adventure for toddlers. Read on. Long Answer: When my kiddos were under 4, I enjoyed walking them through Africa’s Gorilla Falls Exploration Trail (to see the gorillas, hippos, and exotic birds) and Asia’s Maharajah Jungle Trek (to see the tigers, monkeys, bats, and Komodo dragons). Another amazing area to explore is the Discovery Island Trail around the Tree of Life. This is the only way to touch and see up close many of the 325 animal carvings that make up the Tree of Life. Dinoland U.S.A. is the Animal Kingdom’s kiddy-land. 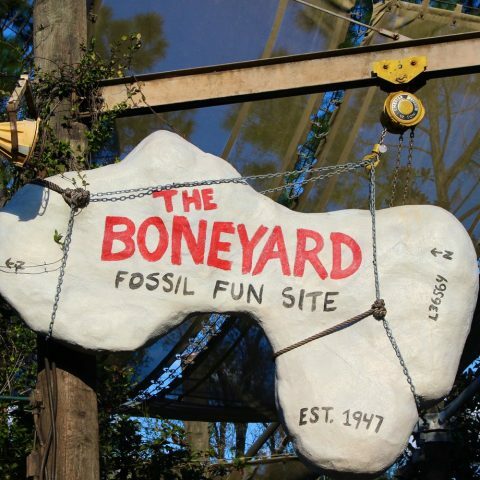 The Boneyard is Jurassic playground with equipment strong (and wide enough in most areas) for parents to accompany younger kids. Make sure you find the fossil dig! Climb up to the bridge, and it’s on the other side. As far as attractions go, I would definitely take a 2-year-old on the Kilimanjaro Safari (Africa) and the Na’vi River Journey (Pandora). The safari is a 20-minute open-air vehicle ride through the African savannah. Riders see everything from hippos and rhinos to lions and elephants. Na’vi is a night journey through a fictional bioluminescent rainforest. Unless, you are at the park at opening, I would get a FastPass for both of these attractions, just to reduce your wait times. A third attraction for the toddler set is the TriceraTop Spin (Dinoland U.S.A.) This ride is exactly like the Magic Kingdom’s Dumbo attraction but with flying Triceratops instead of elephants. Animal Kingdom has two of the best live shows on property. Festival of the Lion King (Africa) is my favorite. It’s a 30-minute show featuring the characters and songs from The Lion King movie. It’s full of acrobatics, singing and dancing, jokes, and amazing costumes and puppetry. On the other side of the park is another great show Finding Nemo – The Musical (Dinoland U.S.A.). This one often gets skipped because of its 40-minute run time (plus, you’ll want to arrive 10-15 minutes early to get in line). The show, however, is quite wonderful and it takes place in a comfy air-conditioned theater. If you need an afternoon break, Nemo is a great place to take a toddler while others in your group hit some nearby attractions like DINOSAUR (way too scary for young kids), Primeval Whirl (a roller coaster with a 48” height requirement), Expedition Everest (a roller coaster with a 44” height requirement), and Kali River Rapids (a drenching water ride with a 38” height requirement). Another fun spot for toddlers is located near Tamu Tamu Refreshments (Africa). Several authentic drums are set up for kids to bang on ‘til their heart’s content. You’ll capture some great photos at this location. Rafiki’s Planet Watch is another kids’ spot you might want to try. It’s not my favorite. The train ride back and forth is really the highlight. The conservation station doesn’t have a lot going on unless the veterinarians are conducting a surgery that day (and it that case you may not want to be witness). There is a petting zoo with some goats and a donkey, but nothing exotic. One attraction I always warn parents about is Tough to be a Bug (Discovery Island). The 3D movie based on A Bug’s Lifeis pretty scary with giant dangling spiders, a not-very-nice grasshopper, and interactive theater seats that spritz, poke, and emit a bad smell during the film. It’s not as child friendly as it probably should be. All and all, don’t worry about bringing your little explorer to the Animal Kingdom. There’s lots to do. Question: My daughters love Anna and Elsa. I want to know everything there is do that’s Frozen-themed. Long Answer: Here’s what each park offers. 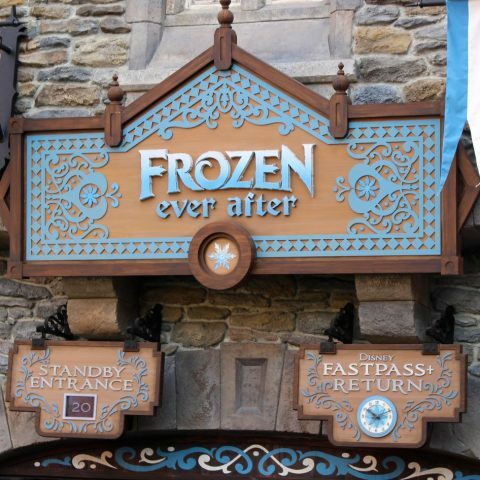 A must do for Frozenfans is the attraction itself located in the World Showcase’s Norway Pavilion. It’s called Frozen Ever After, and it is a 5-minute boat ride through Arendelle during its Summer Snow Day Celebration. If you want to ride with the shortest wait time, either head to this attraction as soon as the park opens or get FastPasses. But don’t leave Norway too soon. Right new door, guests can enter the Royal Sommerhus to meet Anna and Elsa in person, pick up some Norwegian-inspired pastries at Kringla Bakeri Og Kafe (Anna’s Birthday Cake and Frozen Mini Cupcakes are among the choices, but we like the Troll Horns and Sweet Pretzel’s better), and see the wooden troll at The Fjording. If you want to splurge, Epcot also offers a Frozen Ever After Dessert Party. For $79 per person 10 and up and $47 per person 3-9, you get prime, exclusive seating for the Epcot fireworks show, an all-you-can-eat dessert buffet, specialty drinks, and a trip to the front of the line for Frozen Ever After. The price is in addition to the regular admission price to Epcot. However, if you have a ticket with a park hopper option, it’s a way to spend your day at another park and end it at Epcot to take in two of the park’s major draws—Frozen Ever After and Illuminations. For more details, click here. If you’re going for a Frozen-Focused day and you have a park hopper ticket, you could start your day at Epcot and do all there is to do at the Norway pavilion, then head to the International Gateway to take a boat to the Frozenattraction at Hollywood Studios. The Studios is home to For the First Time in Forever: A Frozen Sing-Along Celebration. The show runs once an hour for 30 minutes and includes movie clips, appearances by Anna, Elsa, and Kristoff and of course, a sing-along. Hollywood Studios also offers an Olaf meet-and-greet. The character is available for photos, autographs and hugs (Echo Lake, Celebrity Spotlight). Ever since the princess moved from Magic Kingdom to Epcot, there isn’t as much Frozen experiences to be had at the main park. However, Anna and Elsa appear daily in the Festival of Fantasy Parade (a must do for parade lovers) and the Happily Ever After fireworks show. Fantasyland’s Bibbidi Bobbidi Boutique offers a magical makeover that will transform any 3-12-year-old into Anna and Elsa (for a hefty price). You’ll need to make a reservation for the makeover experience. The number to call is 407-WDW-STYLE. (There is also a BBB location at the Marketplace at Disney Springs.) If you just want to buy an Anna or Elsa dress and/or accessories, you can do that too. 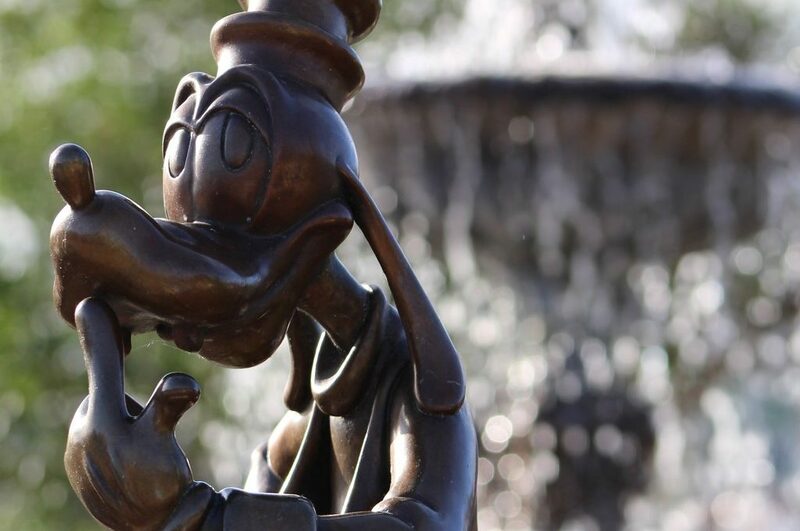 Question: Why is planning a Disney trip so complicated? Do I really have to make dinner reservations 6 months in advance and know what rides I want to ride 60 days in advance? Short Answer: If you want to experience the most hyped stuff at Disney, then YES, you need to choreograph your vacation like a royal wedding. Want to eat at Cinderella’s Castle? Six months prior to your trip, you better be on My Disney Experience (the website or the app) first thing in the morning ready to book. Want to wait less than 20 minutes to experience Flight of Passage? If you’re staying on Disney property, you need to be on My Disney Experience 60 days in advance to grab a FastPass. Don’t do what I did and think there will still be Flight of Passage FastPasses available 58 days out. There will not! If attention to detail is not your strong suit, engage the services of a travel agent who specializes in Disney vacations. You won’t pay a cent extra, but you will benefit greatly from the experience and advice. Long Answer: Every vacation takes a little planning and research, but we agree, Disney planning is pretty intense (we see a lot of spreadsheets). Whether you’re a first-timer or a pro, I really do recommend using a travel agent that specialized in Disney travel to set up your trip. A good agent can walk you through the process and book you the best deal. MOST IMPORTANT, an agent can make sure you don’t miss your opening window for dinner reservations and FastPasses (which are reservations for riding Disney’s most popular attractions). Using a travel agent is FREE. Agents make their money off of Disney, not you. They truly want to find you the best deal, so you’ll keep coming back to them. Yes, you can research rates and book a trip online, but using a travel agent gives you an extra set of eyes and ears to work through the process. I use Mouse Fan Travel and have received tremendous service, tips and reminders. As far as dining goes, reservations at many of the Disney hot spots really do need to be booked 6 months in advance. It’s hard to get reservations at places like Cinderella’s Royal Table, California Grill, ‘Ohana, Chef Mickey’s, Hoop-Dee-Do Review, and 50’s Prime Time Café if you don’t book that far out. FastPass bookings are allowed 60 days in advance for guests at Disney resorts or Disney-approved hotels and 30 days in advance for everyone else. If you are interested in the most popular Disney rides like Flight of Passage, The Seven Dwarfs Mine Train, Space Mountain, Splash Mountain, Slinky Dog Dash, Rock N’ Roller Coaster, The Tower of Terror, Test Track, Soarin’, Frozen, etc. You’ll want to get FastPasses the minute your window of opportunity opens. Lines for these attractions can reach 90-120 minutes. Three FastPasses can save you more than 4-6 hours of waiting in lines. Unfortunately, you won’t be able to get FastPasses for every ride, but by using a combination of FastPasses and early-morning parks hours (or late-night park hours, if you’re not an earlier riser), you should be able to do all the fun stuff during your trip. Again, a good travel agent will have lots of tips for getting the most out of your day. Question: Should I buy the Dining Plan? Will it save me money? Short Answer: No. The dining plan entitles guests to significantly more food than most people normally eat. The end result is a vacation spent overeating or abandoning food. Unless you are a family of NFL players who only dine on steak, lobster, and all-you-can-eat buffets you’re not going to save money. I think a person can break even with the Disney Dining Plan, but I’m not sure it reduces anyone’s food bills. Now if you are someone who likes the convenience of prepaying for your meals, there is definitely value in that. In that circumstance, I would say go for it and enjoy. Also, if you are receiving a free dining plan as part of a package, then I’d try it as well. Just make sure to check what the cost would be to book the same room, tickets, and dining plan a la carte. Sometimes that price of the latter is actually cheaper. Again, a travel agent can tell you if a “free dining” package is truly the lowest cost option available. The main reason I usually skip the dining plan all together is because it’s too much food. Disney portions are huge, and it’s really hard to eat all that you are entitled to on the dining plan. I find a better strategy to save money is to skip the dining plan and share meals and snacks instead. Question: Why should I stay at a Disney hotel when nearby hotels are much cheaper? I can rent a whole house for week for the same price some Disney resorts charge for a long weekend. Short Answer: I’ll give you 4 reasons you’re going to want to stay on property. #1 On-property guests receive Extra Magic Hours, so you get more hours in the parks. #2 There is no need to rent a car while on property. Disney transportation is free, including to and from the Orlando International Airport. #3 Better facilities, décor, and customer service at all price levels. #4 You are closer to the action. Resort guests get to spend more time in the parks. Each day a park opens early and/or stays open late just for resort guests. These extra hours are magical because the parks are significantly less crowded. So, if you failed to get a FastPass for a premier attraction, Extra Magic Hours give you the opportunity to rides those rides with very short wait times. Transportation to and from the Orlando International Airport is free to Disney resort guests. Plus, once on property, resort guests can get anywhere by bus, boat, monorail or on foot. It’s not necessary to rent a car at all, which can be a savings of $300 or more on a week’s vacation. That savings pays for a two-nights at a Disney Value Resort. Disney resorts are amazingly themed and extremely well-maintained. When you are at the Polynesian Village Resort, you feel like you are in Hawaii. When you are at the Animal Kingdom Lodge, giraffes and zebras will be right outside your window. At the Art of Animation Resort, it feels like you are inside of an actual animated film. The experience is worth the extra price. Also, Disney employees (known as cast members) are the best-trained people in customer service you will ever meet. It is rare to have a negative experience with a cast member. You’ll never question the service like you may do at many other hotels. If your vacation is all about getting to a Disney park each and every day of your trip, staying on property puts you right in the action. There is a lot of value in the ability to visit a park, return to your hotel for a nap, and get back to the park later in the day (especially with younger children). That being said, if the choice is between an off-property vacation and not going at all, I wouldn’t hesitate to choose off-property. We’ve had loads of fun vacations this way and have found ourselves exploring more of what the surrounding area has to offer, like the Kennedy Space Center, downtown Orlando, or a day trip to the ocean. Of course, there’s no law that says you can’t do both. Lots of families spend a few days off-property and a few days on—giving themselves the best of both worlds. Hope this advice helps! Keep those questions coming. 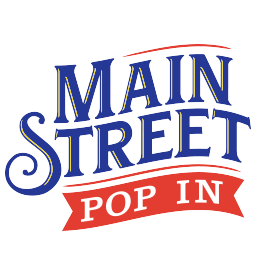 We can be reach at info@mainstreetpopin.com. We try to answer your emails right away so you can start planning. Frequent questions, we’ll add to this chain.